If anybody who is reading this can find out from Sonam how much she payed for the clutch she picked up from Salvatore Ferragamo at DLF Emporio in New Delhi, I will personally check if she was made to pay more and then take up the issue with Ferragamo bosses. Also selling products made out of Exotic Leather is ILLEGAL and it needs to be verified upon. Ankita and SF you seem to know about what is going on in Ferragamo, a lot more than the management, which makes me wonder if you are just a dis gruntelled employee who was thrown out of their job, or have absolutely nothing to do. And really if you have so much information, instead of wasting our time and yours maybe you should write to the relevant people. As far as Vimal and Ashish are concerned no one gives you the authority to decide on the adequate communication skills, because if you or your opinions were relevant you would have been in their position and since that is not the case i suggest you make your life a little more useful than what it is currently. I have been helped by Vimal and Ashish many times at the store, and believe me when i say this we as customers are smart enough to know if we are being cheated out of our hard earned money because we do shop outside the country as well, which is probably beyond your myopic view. Don’t know about the clutch but I know Ferragamo is not the only store that sells Exotic Leather products…I’ve seen products made out of Anaconda, Crocodile skins at various other stores at Emporio and Oberoi. Not just in Delhi stores at the Galleria Mumbai are no less. Someone should do something about it. Plus I don’t think that the Ferragamo story is a new one. More than half of the Gucci team at Oberoi was thrown out and blacklisted because they sold fake articles in the store and took the real ones home or sold them in black. I totally agree with a lot of people who feel that what is happening is slander and seems like work of disgruntled and jobless ex employees.It is very easy to run down people rather than look at oneself.Every brand in the mall has attrition which not always can be blamed on top management and as far as exotics are concerned bottegga,versace,zegna they all show it to special clients so lets keep the issue at hand or rather non-issue as Ferragamo India has one of the best teams in terms of hard work,communication skills ,training which is being led ably in Delhi by Mr.Vimal and both he and Ashish are completely courteous,helpful and today nobody is stupid enough to pay inflated prices so lets not accuse Prasanna,Vimal and Ashish. Prateeksha dear, the list of social climbing furniture designers who pretend to be important and busy starts with Ashna Jaipuria/ Singh/Seth/Kaur/Sensational. no one knows why she keeps changing last name. multiple identities for multiple lifestyles? At least Anjalina keeps to her one name ;). This breed of fake ladies likes to give them self importance as no one else in delhi will. All they want to do is stay in the news and hook a rich husband who they can boss over. Prasanna has not only sold products at fake prices but has also gifted a lot of products to customers without the knowledge of the management. Till date no person has been thrown out of ferragamo but Prasanna always says that the person was thrown out. She has also tried to get things put in other employees bags to prove that they are thieves so that she can put her blame on others. It is surprising that Ferragamo even hired someone who has been asked to leave from LV and been banned from entering LV stores in the country because they can never be loyal to any company. The brand has great heritage values but Prasanna has done everything to bring it down. There are 10 people who have left the company in the last 2 months because of her. We all need to come together to bring the brand on the rite track. Ok guys, wts the real concern here. By the threads posted here, seems like Ferragamo has (had) only 3 ppl working – Prasanna (the country manager), Vimal (Retail manager), and Ashish (anybody knows his designation at Ferragamo?). The article started with the concern of VVIPs n loyal customers being cheated at the store, but allthat is being discussed here is Vimal n Ashish have been helpful in the store, they do their job, but ppl trying to defame them. Just now somebody mentioned 10 ppl having left the company in 2 mths. Whoever has been backing Vimal and Ashish on these forums, seems like something fishy is going on, neither the actual concern been addressed, nor the point been brought up before stating this humungous attrition rate at ferragamo india. Donno if the facts hold true or not, bt @ Shikha, seems you know a lot about Ferragamo management that you challenging Ankita who has quite openly challenged the brand integrity and held the bosses n staff at ferragamo through the collar. And seems like u gt sm personal issues with Ankita (atleast that’s wt ur language suggests). Glad u came up n pointed out that she might ve been chucked out of the organisations or wtever, but seems when u go to the ferragamo store, u just connected with Vimal n Ashish…. Can’t believe a 2 floor store being run by just 2 ppl. Let’s hope your language gets a li’ll subtle rather than shooting such remarks to sm1 u may nt even kno, n that too on a topic tha u mayu nt even kno bout being a customer as u suggesting urself to be unless u been really getting into all dese stuff that goes on behind the office doors concerning the management. Let’s just stick to the topic n let’s nt gt into bitchy stuff out here that might nt even be relevant to u. @ Archie n especially @ Flakes – Completely understood that brands do retail exotic skin merchandise, but as far as my understanding goes, every exotic leather product has to be supported by a certificate that states the animals were either injured/already dead/diseased at the time of skin extraction n nt poached in order to peel their skin…. Here the concern raised by Ankita if I understand was that the exotics were brought to india as press samples (nt meant for sale), without the required certifications, bt put on sale…. If dats been happening, it can jeopardise the brand ethically, morally n legally as well. 1) Prasanna, Vimal n ashish’s well wishers, commend your coming up and supporting the guys, but let’s nt deviate frm the actual concern. In a luxury segment, cheating ur clients, putting stuff in employees’ bags to portray them as thieves, aaah plzz. Sounds disgusting. Were the customers really being duped? Obviously the customers nt idiots to throw their hard earned money n be fooled, bt hey, its a luxury brand rrt… Ppl ask the employees bout the prices. If u quote a raised price, they won’t even bother to chk the tags, dats wt I understand. And packaged merchandise doesn’t carry the original price tags, right? 2) Shikha commented on Ankita as a disgruntled employee who has been chucked? Has anyone been chucked out of the brand? If yes, how many? N on wt grounds? And does the fact hold that 10 ppl ve left d brand in 2 mths? Wt ws d HOUR review then? Wts d reason? 10 ppl who ve been in d brand n leaving cnt be wrong all together rt, wen dey ve been working with this Prasanna Bhaskar. Honestly, seems there’s something wrong here. Whole topic being tried to be changed to a different direction. Making sense, everybody siding with 3 ppl, prasanna, vimal n ashish wen in an open forum they being alleged of serious manipulations, n no mention of other staff members… Splly if its true that 10 ppl have left in such a short span of time. Sonam, if u listening…. Request ur input. Knowing wt clutch ws being talked about, has it really been sold at jacked up price, n cheats have been feeding on the brand as leeches. Also if Mr. Madhok n Mr. Khullar listening here, feedback invited. Cheers guys!! heaps of luck to Ferragamo. 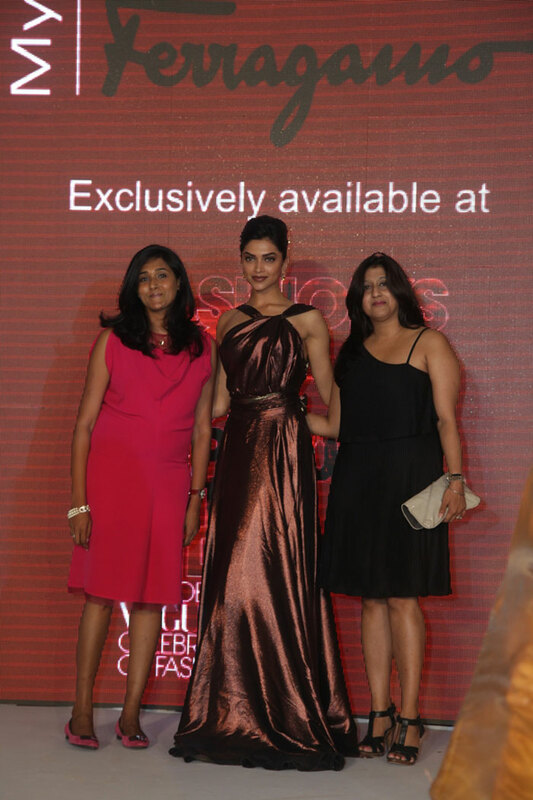 @ Shikha and flakes: I have worked with Prasanna and Imran in the past at Ferragamo. The allegations made here are absolutely correct. I cannot comment on Ashish and Vimal even though I have heard certain things which are in poor taste, as I have interacted with them only a couple of times and it was mildly pleasant. @ Archie and flakes: Stores in the Galleria sell exotics as well but only if they have a certificate of origin. Ferragamo employees are, unfortunately, burdened with the task of selling these illegally. Since they cannot be accounted for and have to be hand carried into the country, SF can put whatever price they want on these pieces! @ Sonia: I couldn’t agree with you more. The brand definitely deserves the best… not the worst of the worst! @ Ntin: Ashish was a Senior Sales Associate, last I heard. Actually, there have been times when there’s been only one person in the Emporio store with the guard upstairs who would call out to the associate when there was a client up and they’d have to keep running up and down. The exotic animals can be farmed and then killed for their fur. That’s not illegal. They don’t need to be injured/already dead/diseased at the time of skin extraction. They have been fleecing many clients over time but most have not realized it. One employee was asked to leave recently but I can’t mention on what grounds. It’s just disgusting how a person at that position can behave like that with a junior.The 10+ employees who left, have all quit under Prasanna’s reign and none was a happy camper. I really think we all should get a way of getting intouch with Sonam Kapoor to find out the price she bought the clutch at. It was a stingray black and silver clutch that she bought from the Emporio store. This is the only piece of information I have managed to get. Would appreciate if anyone can get intouch with Sonam to get the price that she bought it at. It is really sad that people at the senior level in Ferragamo do things like this. Even when there was a raid in LV for exotic leather Prasanna had sent all the exotic leather to an employee’s house for them to keep it. She has made a lot of money from the company and has taken endless products from the company for herself. Even the products that were suppose to be given to staff for their uniform were never given to them. They were taken by Prasanna. We all need to come together to resolve all these issues. I found out – Sonam Kapoor was sold the clutch for Rs.98,000, the cost of which was Rs. 84,000. So Sonam ko 14k ka chuna lagaya Ferragamo ne! Prasanna not only robs clients but also robs the staff of their hard work.. Sales that are done at the stores are transferred to trunk shows just to meet the P&L budgets of these events. We in Delhi have done more than 10 lacs sales on days and our hard work is given away to these events & promotions. And then when our increment days are close by or we have not met our targets due to these sales transferrs she pressurises us by saying that we have underpormed! How on earth can a store meet store targets that are humungous as well as targets for events & promotions held in other cities..
Today the brand is suffering in India is all coz of her miss management & wrong doings( politicing in the org ), putting people against each other, scaring them for their jobs. Most of the ferragamo staff today is working to earn their bread and butter, they cannot be threatened this way..
ms Bhaskar its HIGH TIME!! ur reign is nearing an end.. better realise it..
You are a pure LOOSER.. in the real sense of the word. Pls stop politicing and playing games with needy individuals.. It comes back, life is a circle..
Ashish & Vimal must be wondering as to why are they being pulled into this , well both of you its your dirt that you’ve created. ITS A CIRCLE- WHAT YOU GIVE IS WHAT COMES BACK..
You’ll have created sooo much dirt today in the delhi store that every month on an average there is 1 departure.. I wish the ferragamo bosses are reading this and take this blog seriously.. THIS ISNT JUST OUT OF FUN, its the bitter truth of the miss management of the brand.. Thanks for the blog loaded with so many information. Stopping by your blog helped me to acquire what I was seeking for. Cheers with the tone of voice involving purpose even though this post is apt to place any damper over the purchase connected with tinfoil caps. Nice! It’s so hard search out good quality information on the web as we speak from educated sources, it’s all wannabe’s and reused content with only some exceptions. I hope you retain up the nice work and I doubtless again to learn more of your posts in the future! Incredible! Your site has a bunch comment posts. How did you get all of these people to look at your article I’m jealous! I’m still studying all about posting articles on the net. I’m going to look around on your blog to get a better understanding how to get more visable. Thanks for the help! Incredible! Your site has quite a few comments. How did you get all of these viewers to see your article I’m envious! I’m still studying all about article writing on the net. I’m going to view pages on your website to get a better idea how to achieve success. Thanks for the help! It’s hard to dispute valid information, and you have made your points with valid and persuasive content. I thank you for this quality informative material. You know therefore considerably on the subject of this subject, produced me personally consider it from a lot of numerous angles. Its like men and women aren’t fascinated until it is something to do with Girl gaga! Your individual stuffs great. All the time take care of it up!